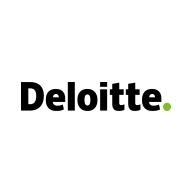 From our centers, we work with Deloitte consultants to design, develop and build solutions to help clients reimagine, reshape and rewire the competitive fabric of entire industries. Our centers house a multitude of specialists, ranging from systems designers, architects and integrators, to creative digital experts, to cyber risk and human capital professionals. All work together n diverse projects from advanced preconfigured solutions and methodologies, to brand-building and campaign management. We are a unique blend of skills and experiences, yet we underline the value of each individual, providing customized career paths, fostering innovation and knowledge development with a focus on quality. The US Delivery Center supports a collaborative team culture where we work and live close to home with limited travel. Both hands on and leadership experience with Oracle open interface tables/public API’s, custom PL/SQL programs, and conversions.